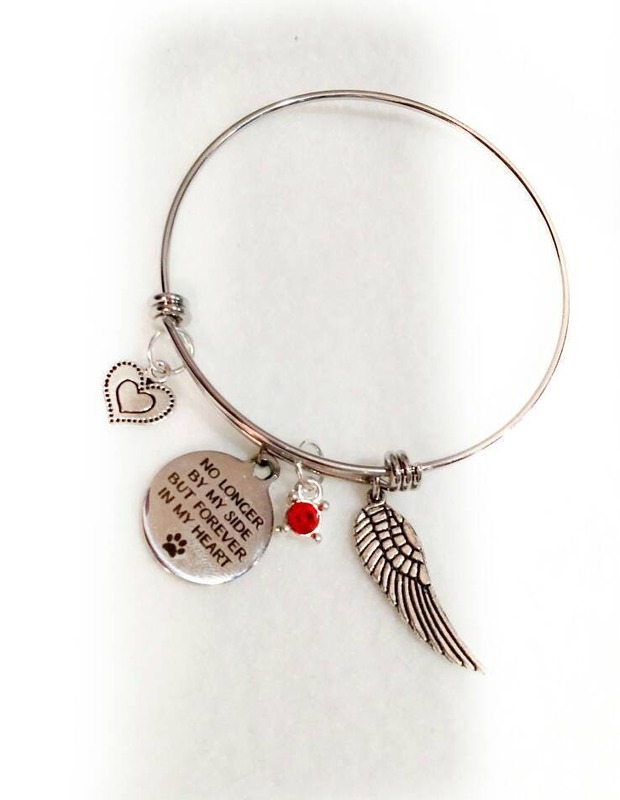 Pet Memorial Jewelry is a wonderful reminder of your furry family member or as a gift. 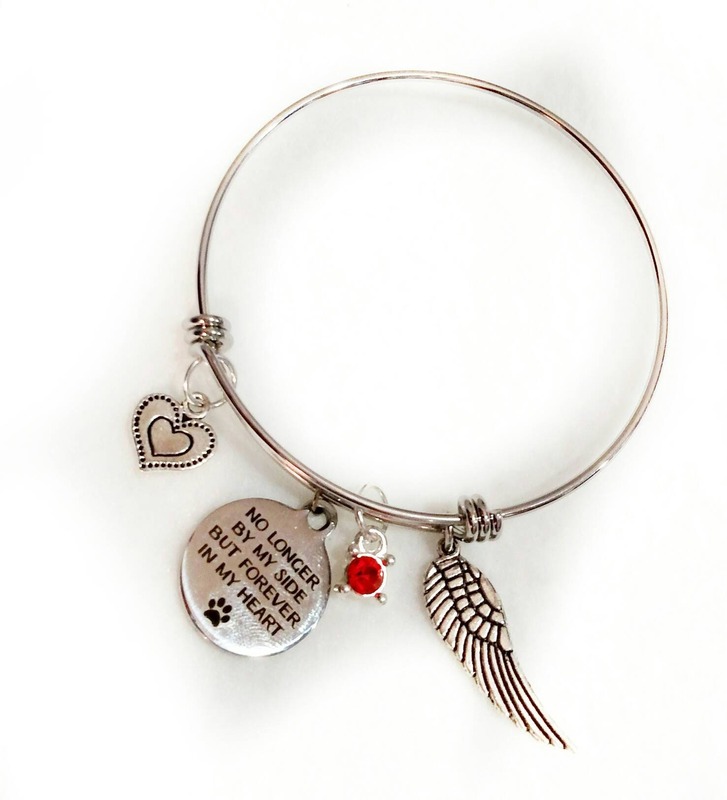 You can also include this with a pet memorial plaque or just as a bracelet. 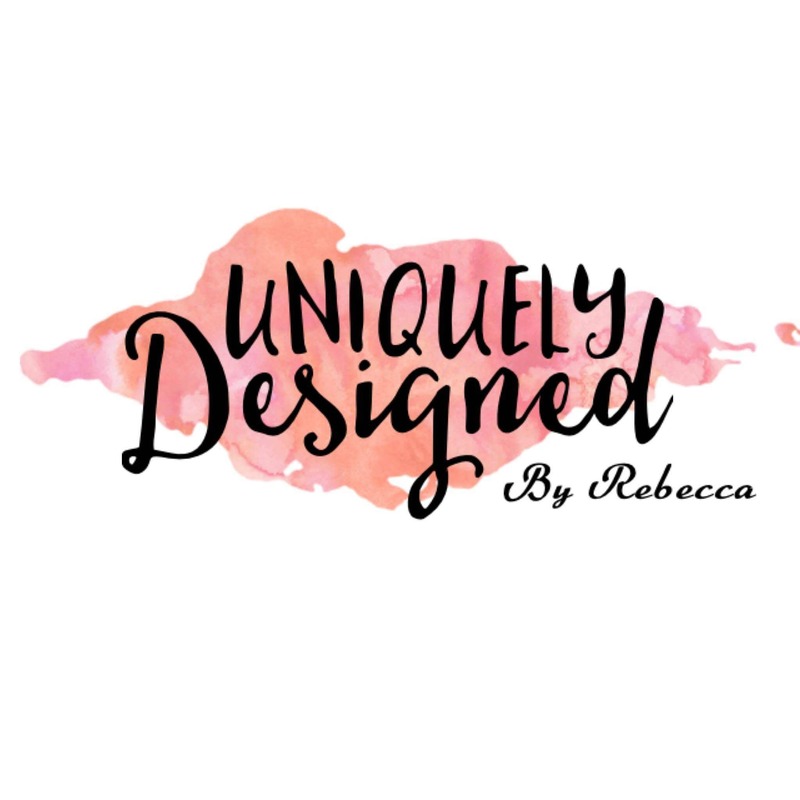 Our bracelets are unique with a double loop, adjustable bangle bracelet. Silver plated brass high quality. The silver plating gives them a gorgeous shine. The stainless steel charms are laser engraved and made of high-quality stainless steel polished on both sides. Stainless steel is hypoallergenic and won't tarnish. All our bracelets comes in a gift box. I will find a charm that is the initial of your pet. If I have to use an alternative initial charm, I will send you a picture before shipping. NOTE: Please leave request for the Intial you would like in the notes for your order. If I have a different style, I will send a picture of that charm with the Intial. If I have this one, I will just send it unless you ask to see it.